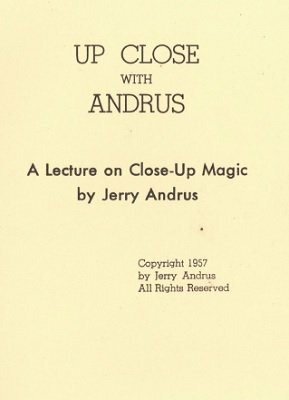 These are notes for one of Jerry's lectures. It helps if you saw the lecture as only the essential workings are provided, but the drawings and details are sufficient to make out most of the effects. References several moves taught in Andrus Deals You In without providing the specifics. 1st edition 1957; 1st digital edition 2015, PDF 22 pages.